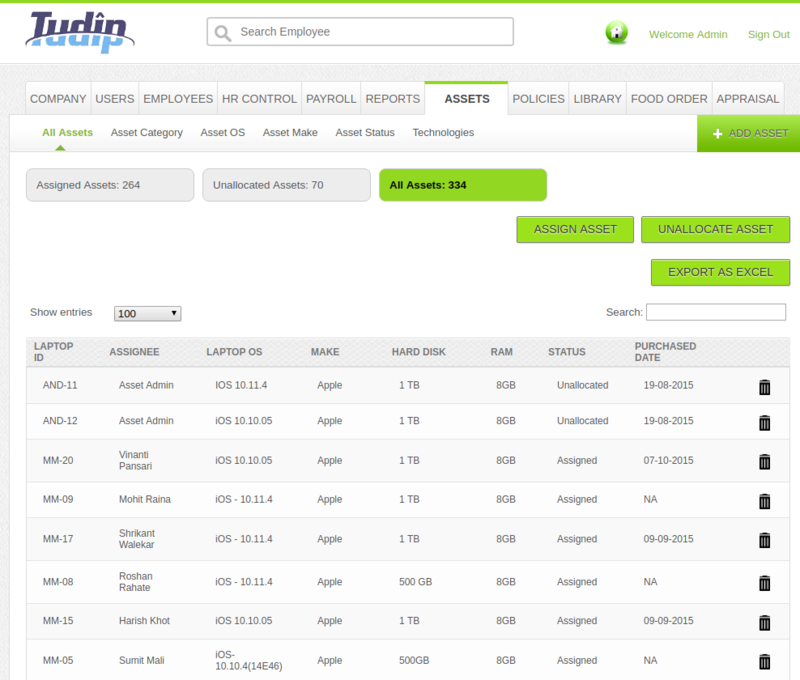 Kuber, HRMS 2.0 is here | Tudip Technologies Pvt. Ltd. The basic information of the company, registration details, bank information, company and client location information can be managed using the application. 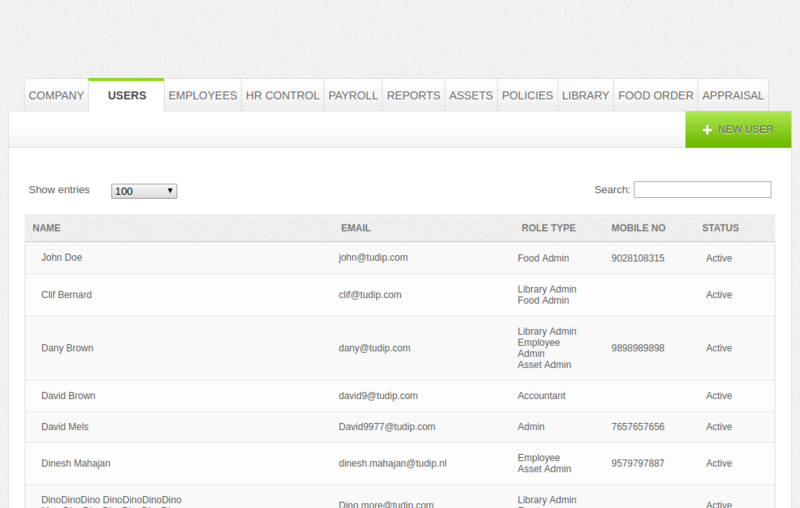 We can create new users and also edit their information. 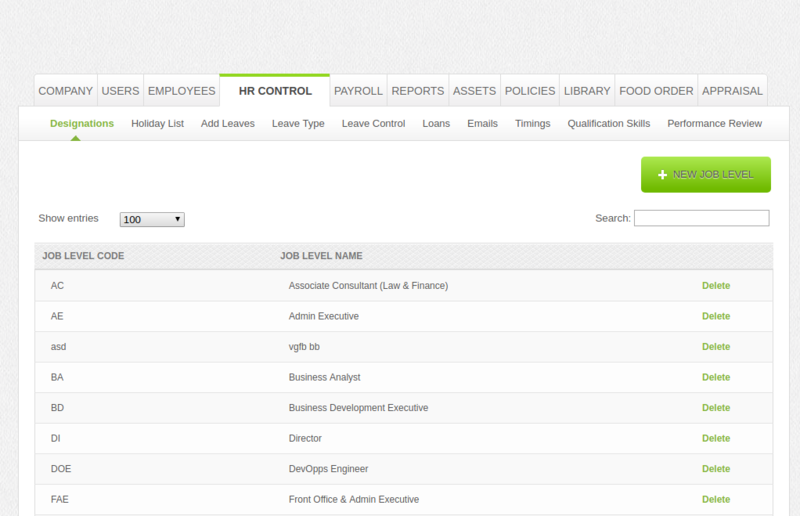 The basic information of an employee can be maintained using the application. 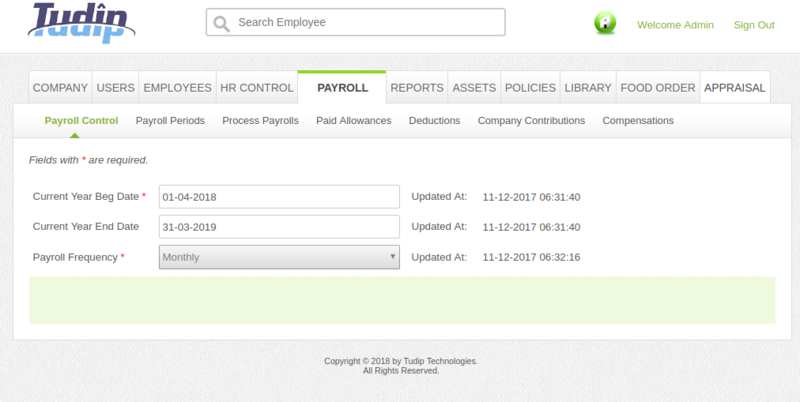 Using HR Controls we can manage the several activities such as leaves management, loan details, employee timings, email sending and many more. 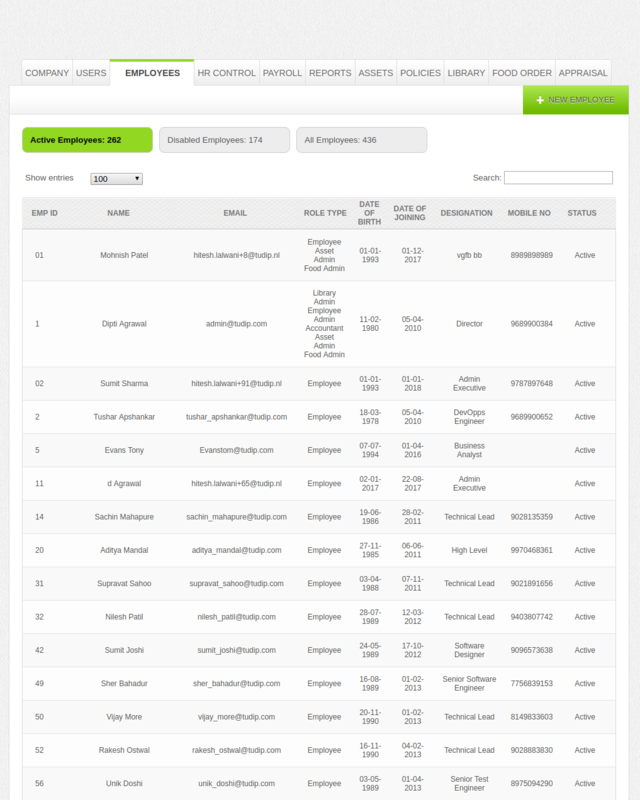 The details related to the contribution, allowances, deductions and compensation can be managed using the application. Reports regarding appraisals, leaves, financial information and other information can be generated and downloaded with the help of the application. 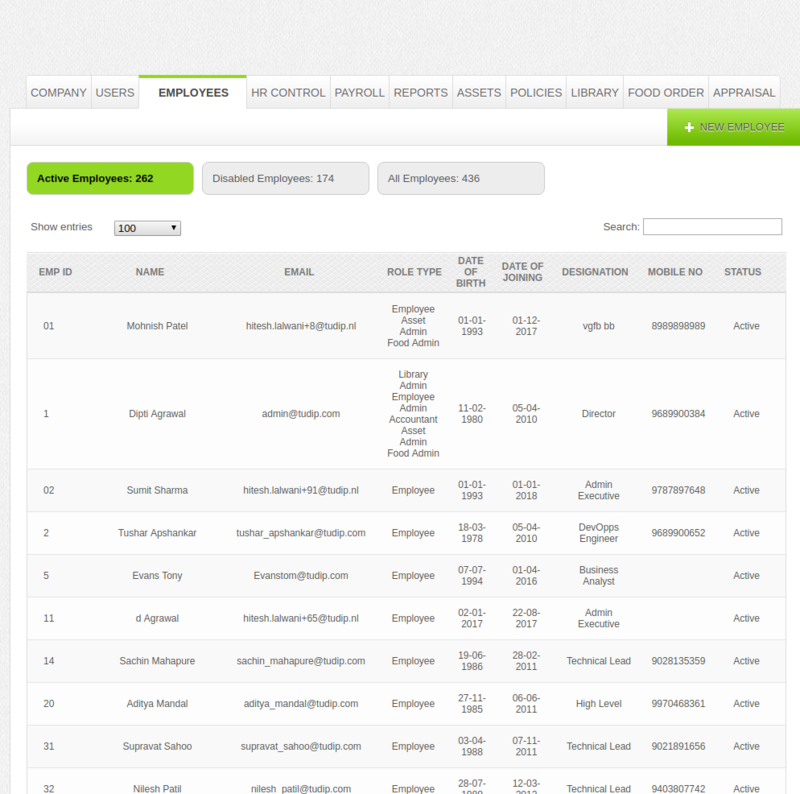 The details of assets can also be managed using the application. 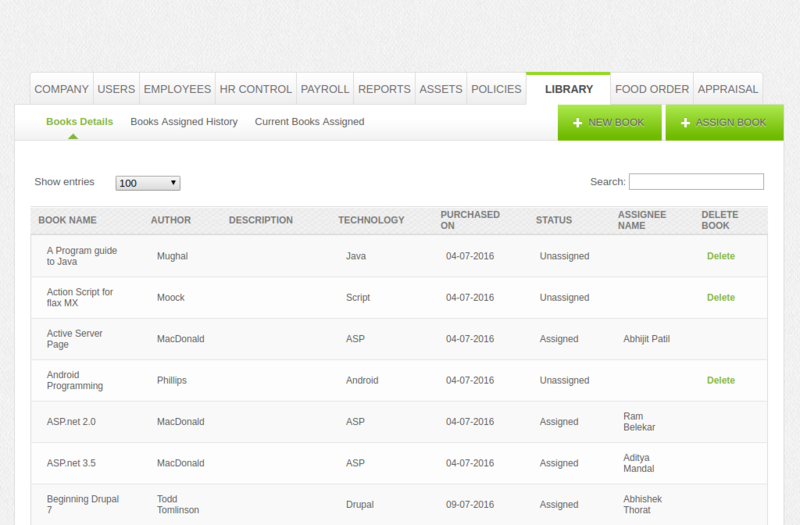 The details of the books issued, new book details can be managed. 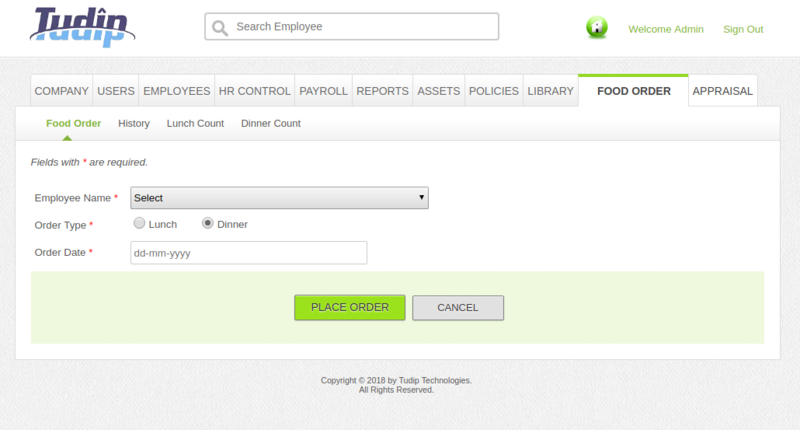 The food order details of the employee for every day can be managed using the application. 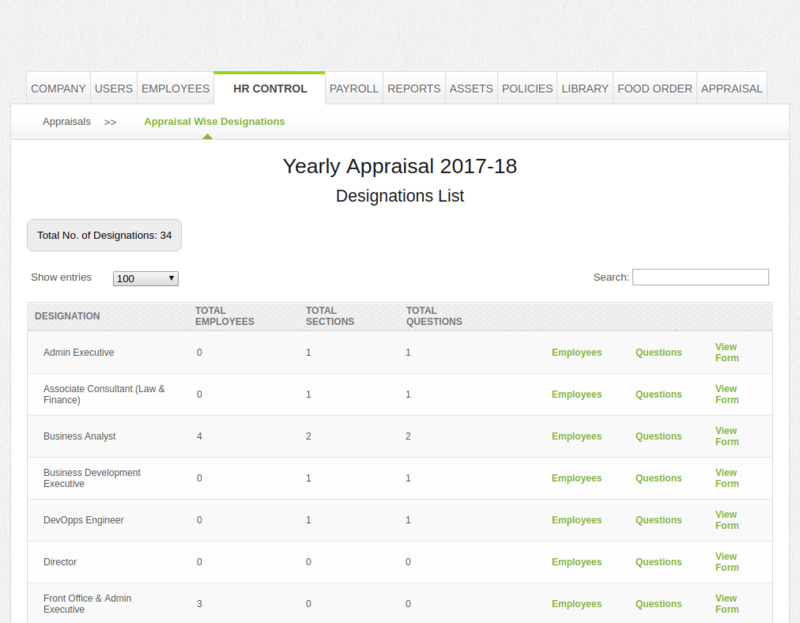 The details related to the appraisal of the employee and management of appraisal forms for different designation can be done using the application.